Get the lowdown on all the upcoming PS4 games and new releases on the PlayStation Store. There's a lot of great games to look forward to in 2018 starting with the new PSN update on January 16. Get set for a host of new PS4 games and PlayStation VR titles that you can download directly to your console. In our initial list of games, we missed out one title, which even Sony forgot about! Mutant League Football. This is the retro revamp of the 90’s American football game that initially released on the Sega Genesis. Enjoy some violent arcade-style matches in seven versus seven battles for victory. The top video game to look forward to this week is undoubtedly the Street Fighter V Arcade Edition, but there's also plenty of other games on the Store this week! Head to Germany in 1939 for a tale about a young boy and a magical bunny in this new cinematic new puzzle video game. Search for clues and puzzle solve in the first of four chapters of a game that is inspired by the surreal worlds of Tim Burton. In this tactical strategy video game, available in the new PlayStation update, you play as a landlord who spies on his tenants. You work for the state and need to make sure that your neighbours aren't breaking any rules! Bandai Namco's latest RPG is available to download on the PSN this week. Take control of a digimon trainer and command up to three other characters in a battle against other digimon. Fly through space and discover the secrets of an ancient story as you discover hidden civilizations. InnerSpace appears to me more of an experience than a game as you fly around discovering new areas and unravelling the mysterious story. This PS4 version of the space flight simulation game has been built from the ground-up for console. In addition to a much more user friendly interface, there's some welcome performance boosts. Direct a nascent space program, perform experiments and enjoy the ultimate space sim for PS4. This Kingdom building simulation is represented in 2D pixel wi the goal building to create a kingdom from scratch. Gather resources, craft tool and weapons and build the ultimate kingdom. Solve hidden object puzzles before the portal to another world opens. Save the world from disaster. Bankrupt players in this online dice game with strategic-thinking and a bit of luck. Taking inspiration from Monopoly, you need to build houses, trade lands and win auctions to come out of top! This latest edition of Capcom's popular fighting game features the main game and an additional arcade mode. Choose six different paths through the most, complete timed challenges and enjoy the benefits of an extended roster of 12 new characters. Get set for an action-adventure video game set in a post apocalyptic universe. Enjoy a combination of arcade gameplay and traditional puzzles as you follow a six-year old girl in her attempt to escape. Arcade action meets puzzle solving in the latest virtual-reality game to hit the PlayStation Store. Supporting PlayStation Move, travel through 50 levels piloting your Drone across the galaxy. 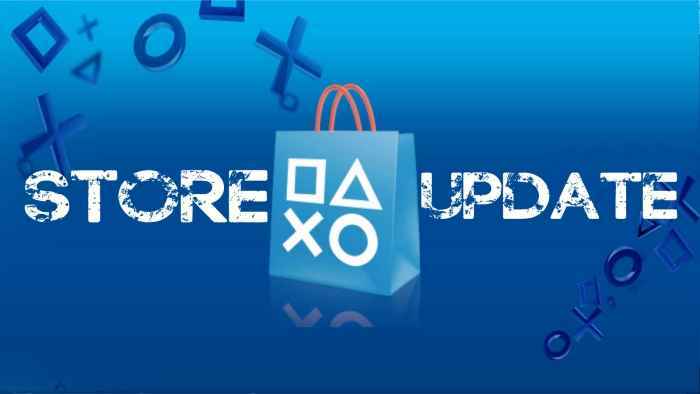 Stay tuned for the PlayStation Store update on January 16, and don't forget you can still download all the new PlayStation Plus January 2018 games!